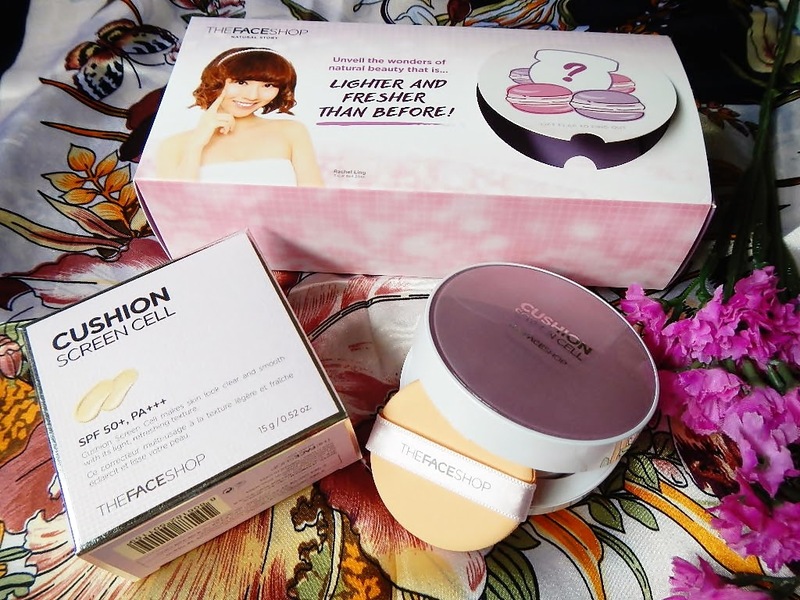 Lately, I've been trying out a new cushion foundation from TheFaceShop which contains the World’s Very First Screen Cell, giving delicate and even makeup coverage. 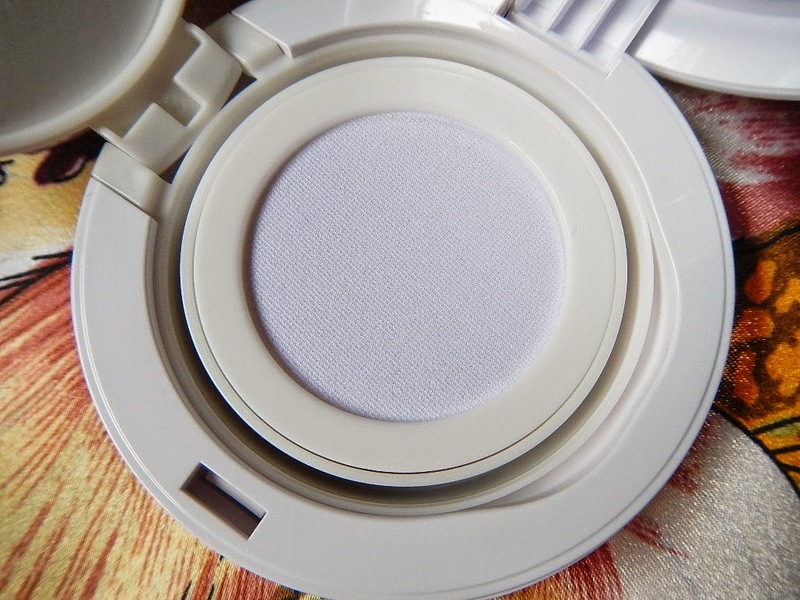 Formulated with HD Blurring Powder, it helps to cover skin flaws and evenly lightens skin. 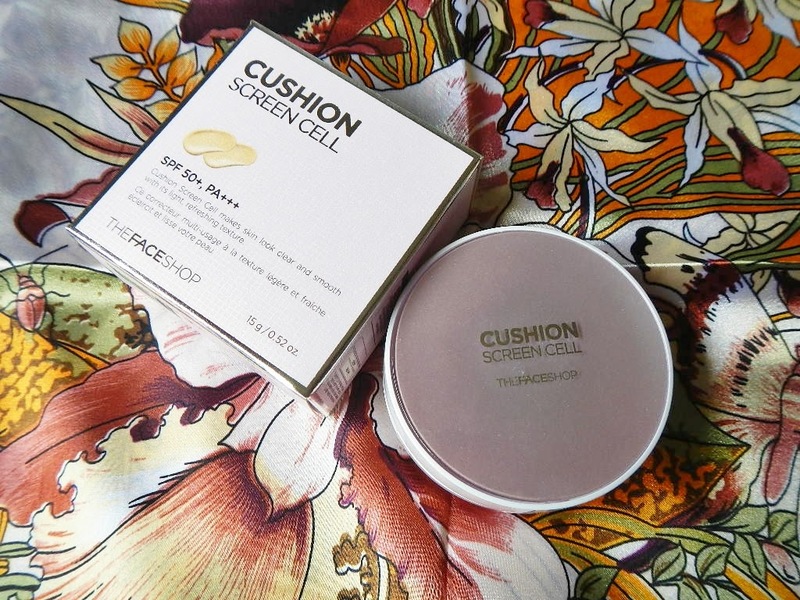 Besides the high sun protection factor (SPF 50+ PA+++) to shield the skin from the harmful effects of the sun, the new Cushion Screen Cell – Natural is also packed with skincare benefits. The Patented Mirroring Complex creates brightening and whitening effects, while reducing wrinkles at the same time. The Patented Essence Powder and 100% Lily Sap Extracts forms a layer of moisture on skin surface for a longer moisture staying power with anti-oxidant properties. 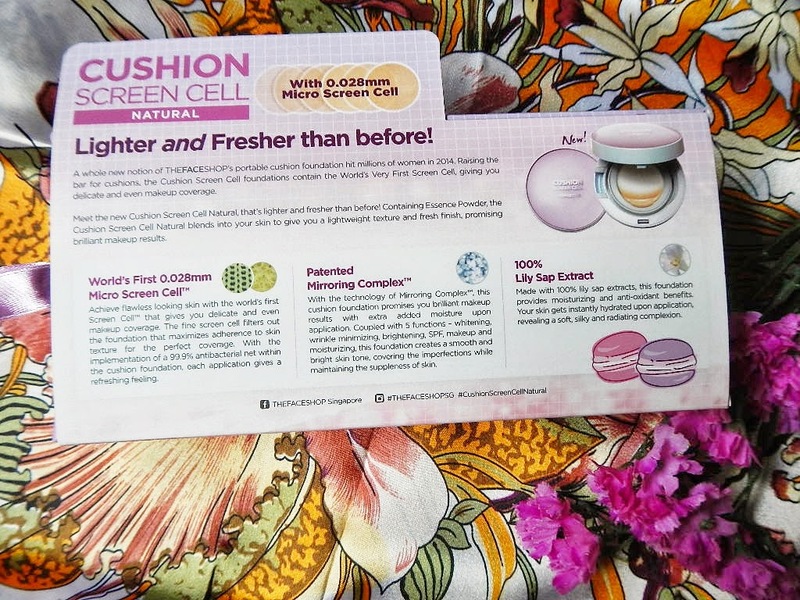 The Cushion Screen Cell foundation comes in a compact casing with an inbuilt mirror for convenient usage and portability. 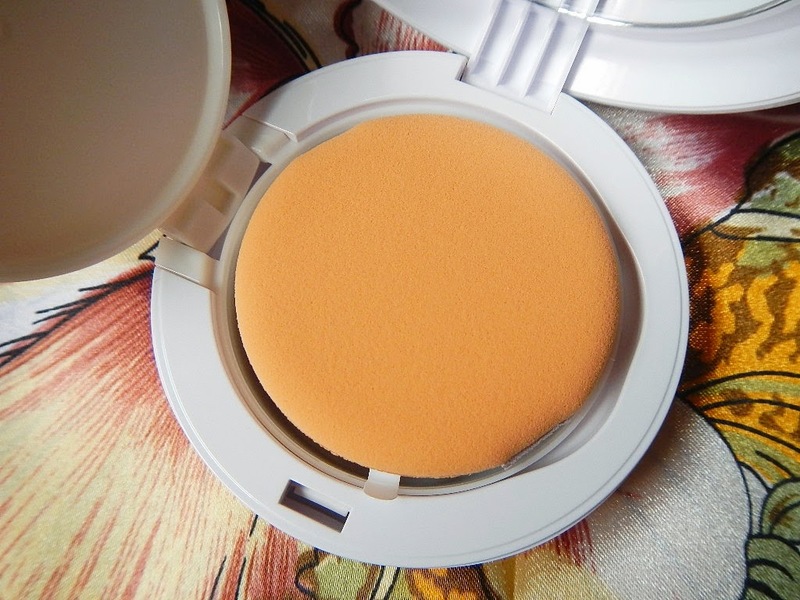 The porous cushion picks up the foundation well and feels soft as it glides over my skin. 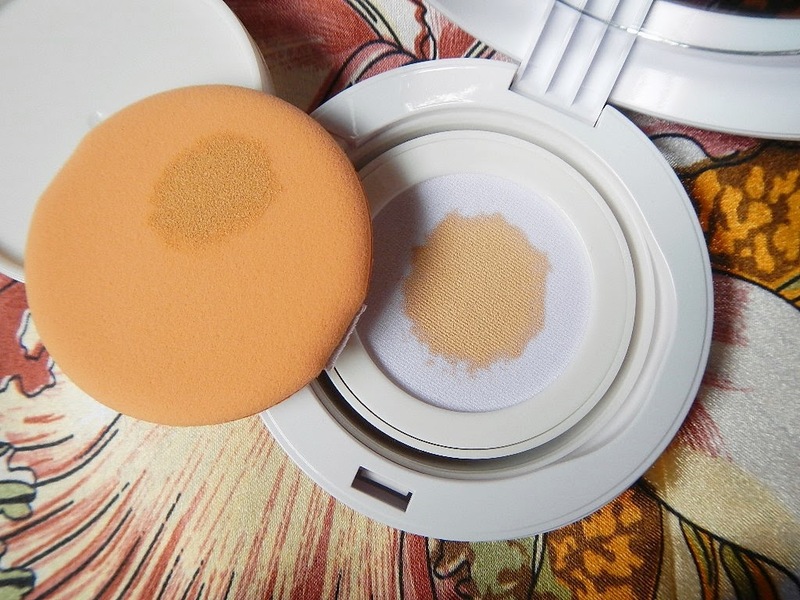 The cushion also evenly distributes the foundation on my skin during application, so there is no trouble of having patches of the foundation over my skin. 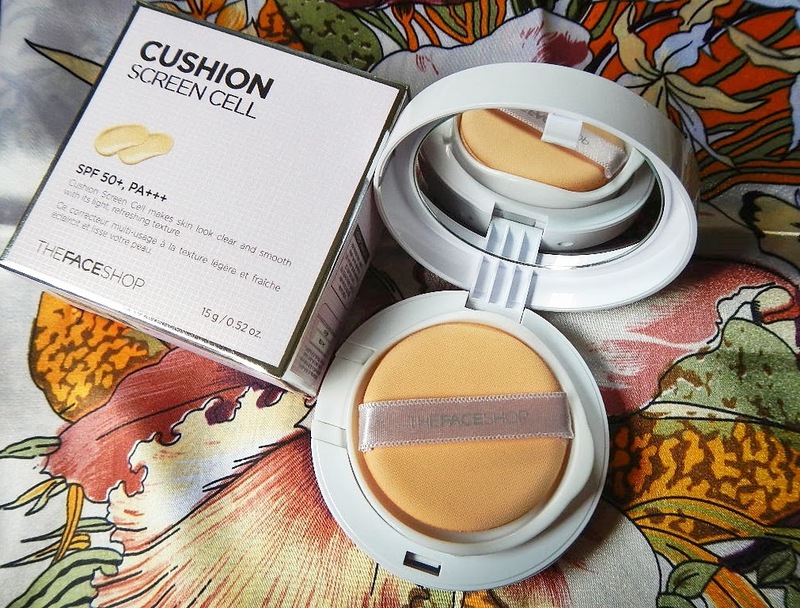 Under the cushion is a flip lid that separates the cushion from the foundation. Over the foundation is a 99.9% antibacterial net to ensure good hygiene. 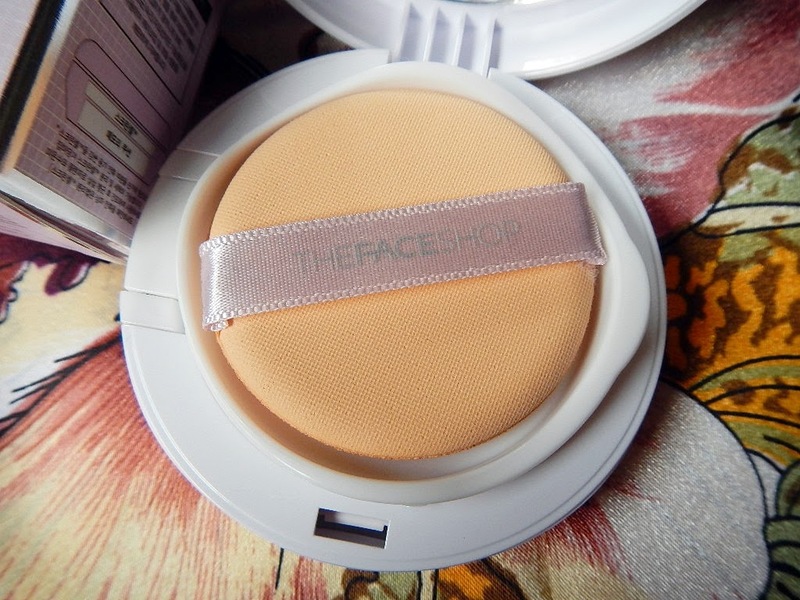 Let me show you the shade of this cushion foundation in #02 Natural Beige. 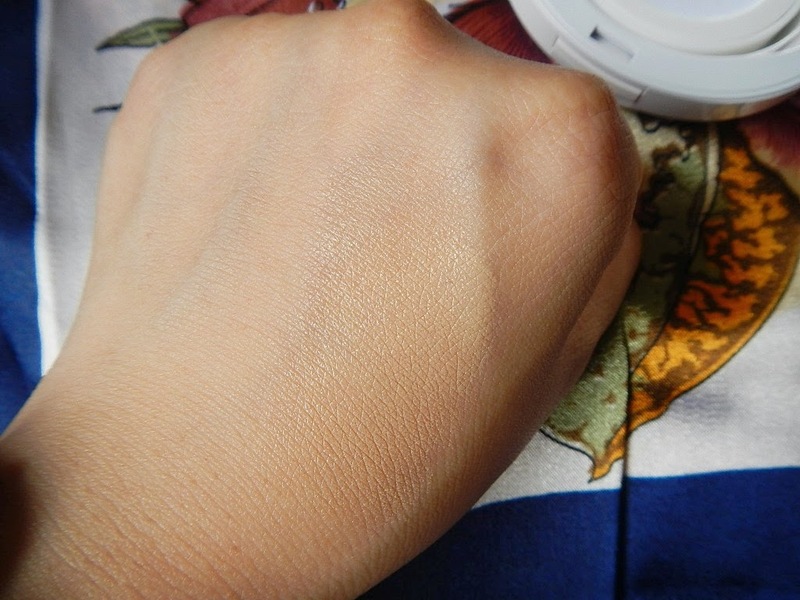 The shade may seems a little dark as compared to my natural skin tone, but after blending out the foundation, the shade looks natural on my skin and gives my skin a healthy, dewy finish. The foundation is light-weight and it gives a slight cooling sensation on my skin during application. It has a light coverage which you have to gradually build up if you would like to conceal pigmentations and minimal blemishes. This foundation is consider hydrating and it helps to hydrate the skin while working as a makeup product. 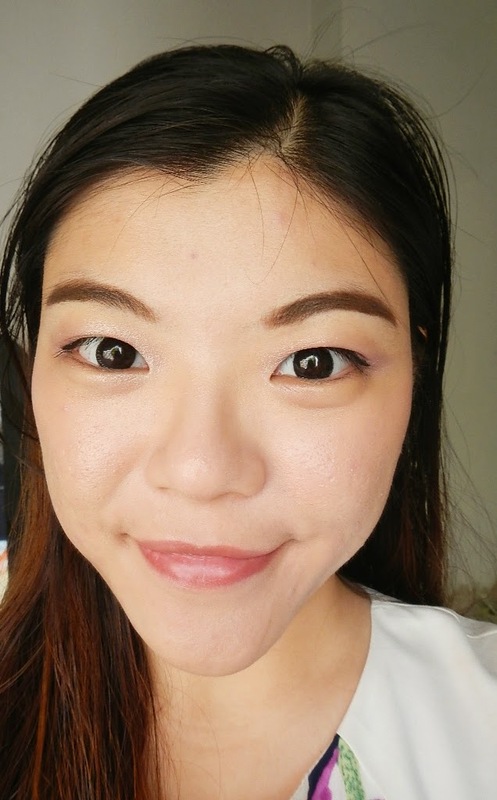 The downside is that it can easily turn greasy on oily and combination skin in Singapore's humid weather. However, it is good that this foundation does not clog pores and is easy to be cleansed. 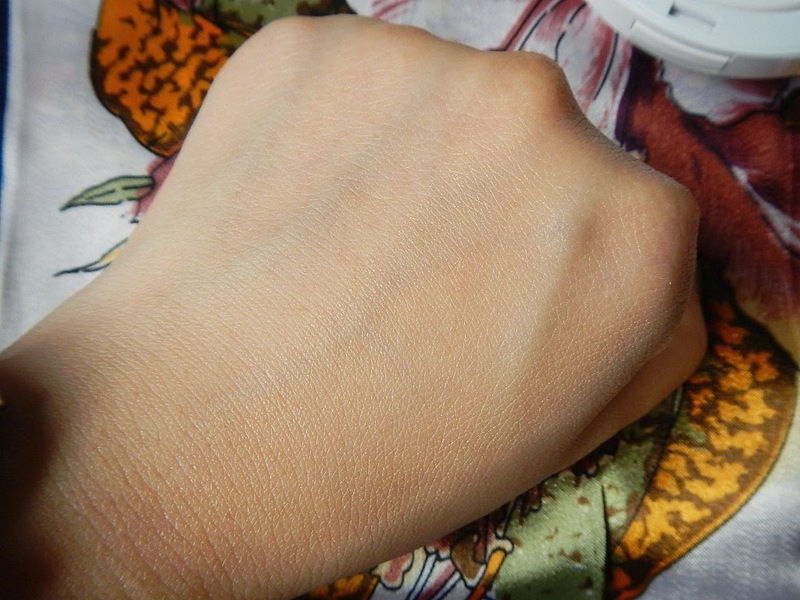 In terms of long wear, this foundation might not be the best to offer such benefit. 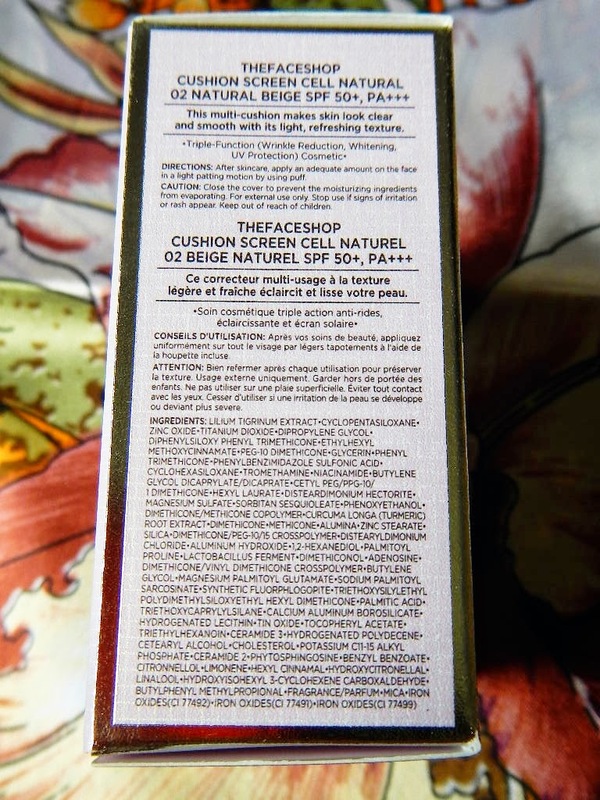 The new Cushion Screen Cell – Natural will be available at all THEFACESHOP outlets and retails at SGD$42.90. Thanks for reading. Hope you have found this review useful for you. Thanks for the review! I was tempted to get this cos I always liked cushion products, but oil control is something that bothers me a lot. How is the oil control for this one? 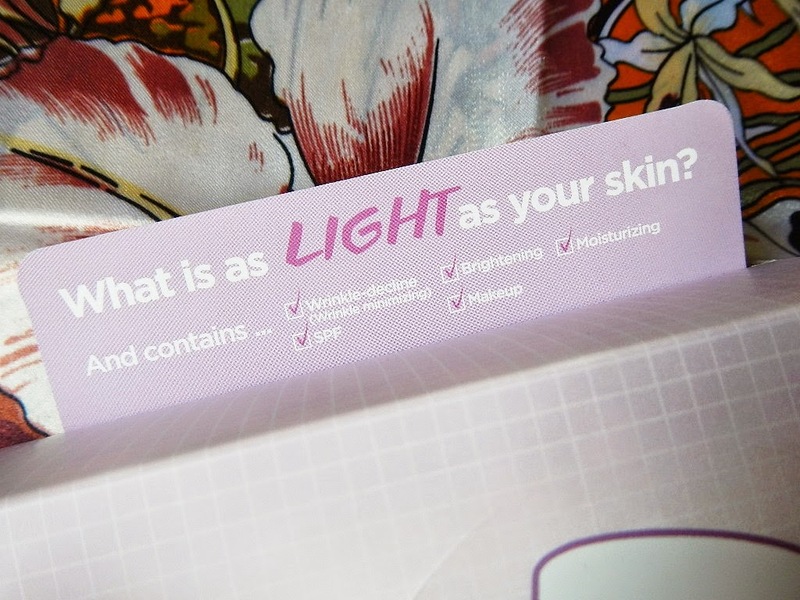 Hi Faith, oil control was average at the beginning, but by mid-day my skin could get greasy and this isn't one of the best options that I would turn to, and blotting would be needed.